Thanks to its wicking properties, you will be able to get through any situation. Center back length: 25⅝". 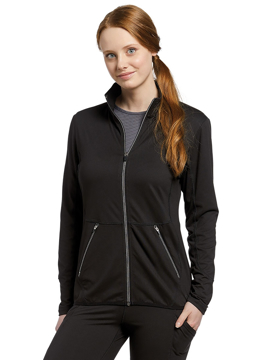 Show off your active lifestyle with this sportswear accent top. Finally a uniform that helps you tackle any challenge in style. Center back length: 26⅛". For women who love running or who are permanently on one! This fluid and soft top will support you all day long. 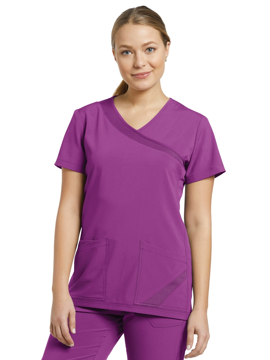 The invisible lateral pockets allow this top to be functional with a sporty silhouette. Center back length: 25⅜". 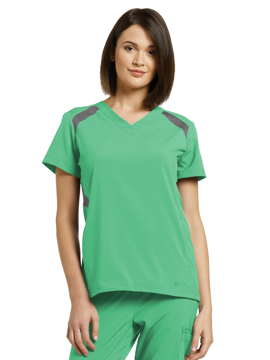 If you liked style 740 from our Oasis collection, then you'll love this top in our Fit collection. 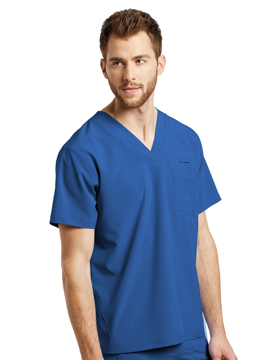 Combined with our ultra soft fabric, you'll stay professional while maintaining simplicity. Center back length: 26⅜". This new top will lift your spirits! This new addition to the Fit collection adds a touch of sophistication thanks to the front zipper neckline. Be sure to stay zen in any situation. Center back length: 26". Add a little flare to your wardrobe with this new addition to the Fit collection. The clasp at the v-neck will definitely be a head turner. Center back length: 26⅜". 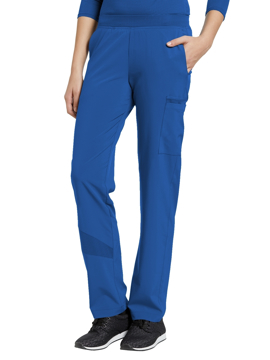 Keeping with style 390's mission, this pant will help you move with ease and comfort throughout your busy day. Regular inseam: 31½". Petite inseam: 29½". Stretch your limits with the White Cross Fit extreme fabric mock wrap v-neck top. With patch pockets for functionality and delicate gathering at the waist for a slimmer silhouette. Center back length: 26⅜". With this v-neck top, your style is perfect! This top is perfectly paired with pant 390. Center back length: 26⅜". 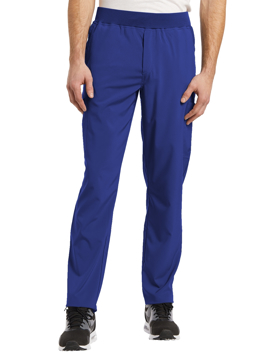 With it's stretch fabric and strategically located breathable mesh details, this pant will adjust to your daily challenges. Regular inseam: 32⅛". Simple and well-designed, this new men's top is like a second skin. Center back length: 27⅞". Designed to be the trendy option to compliment your outfit, this Fit jacket will keep you warm while staying stylish at the same time. Center back length: 25¼". 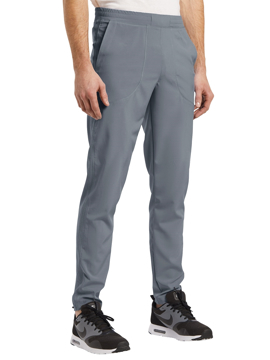 This pant is without compromise while keeping its athletic flair. We love it for its thought out details like the mini hidden pocket. Regular inseam: 31½". Petite inseam: 29½". Tall inseam: 34". With new colors and a new look, this piece will complete your Fit line. Cargo pockets are a great feature if you're looking for functionality. Regular inseam: 31½". Petite inseam: 29½". Tall inseam: 34". A true statement of comfort and style. Thanks to its cargo pockets, this pant will be your best friend to tackle the day. Regular inseam: 31½". Petite inseam: 29½". Tall inseam: 34". 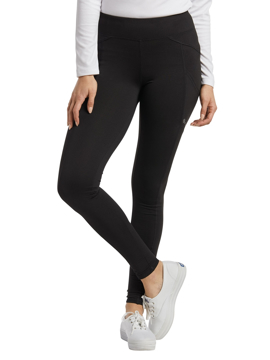 With its ankle, elastic hems and breathable fabric details, this pant will totally work in a dance studio! Who says that a uniform cannot have personality? Regular inseam: 29½". Petite inseam: 27½ ". 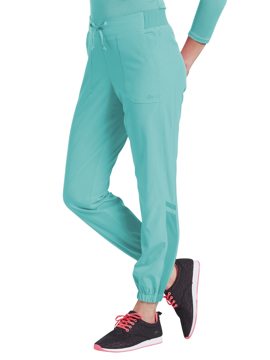 Challenging the status quo and thinking outside the box, the Fit ultimate legging will redefine the way people look at scrubs from now on while still bringing you comfort and keeping you looking professional. Regular inseam: 28½". Our favorite choice for this season! It has the perfect balance between sporty and comfort. 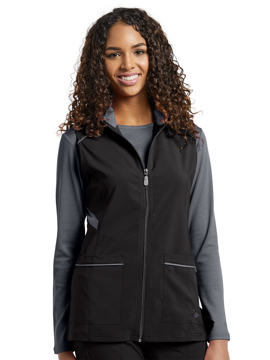 This vest will be your best accessory for a polished look. Center back length: 26". Round athletic neck jacket that helps you style your wardrobe. Center back length: 24¾". This ¾ sleeve top is a balance between a lab coat and a jacket. The slight flared cut, longer in the back, gives a feminine touch. Center back length: 29½". 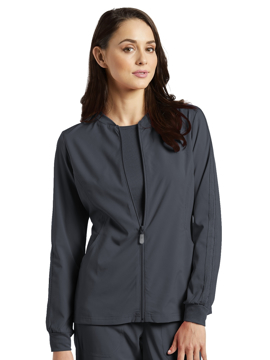 Your practical and distinctive extra layer: the Allure cardigan-style button-front warm-up jacket with multiple pockets. Center back length: 27". Utility meets detail in this motion-comfort straight-fit cargo pant. Regular inseam: 31½". Petite inseam: 29½".